Please see links to Sheikhy Notes new release the second revised version of What no eye has seen. It means, "There is associate in His ruling at all." Meaning Allah (the Exalted) rules a matter and there is no possibility of anyone entering this. "Allah does not place [anyone] in His decree, in His ruling, anyone of His creation." Therefore, this ayah is clearly not talking about voting or anything of the sort. So this ayah cannot be used to prove it is haram, kufr or shirk. Anyone claiming such is sadly mistaken. When Allah (the Exalted) decides on a matter, there can be no discussion with anyone. When Muslims vote they often vote for those who are most beneficial to the community. They are not voting to accept a kufr system as some claim. They are using their vote. The companions made two migrations to Abbisiyinna to live under a just Christian ruler. If the Prophet (may Allah bestow peace and blessings upon him) instructed the companions to go there. Then this should be enough for Muslims to reflect. The claim that the Prophet (may Allah bestow peace and blessings upon him) was merely interested in setting up a 'state.' Then this can be disproven by reading Sirah and it can be seen clearly. The pagan Quraysh told Abu Talib to offer kingship, wealth and women to the Prophet (may Allah bestow peace and blessings upon him). He (may Allah bestow peace and blessings upon him) refused then all and was happy to do so. This proves that setting up a 'state' was not the primary purpose. As the primary purpose was the set up a religion and not political power. The Prophet (may Allah bestow peace and blessings upon him) looked back at Mekkah and said that if he was not harmed by the people that he would never leave. This again proves that migrating from Mekkah to Medinah was based on living safely not based on attaining political power. 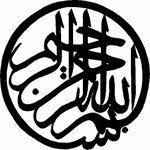 The Constitution of Medinah included all religious groups and included conditions such as not fighting each other and so on. Historically, Muslims were always the first to come with peace treaties; read your history. Hilf Al-Fudoul was an agreement between traders in Mekkah to refund anyone who had been ripped off in trade. This was an agreement across religions, so again read your history. To conclude, voting is your choice. Some vote to stop other radical parties from coming in power, others vote to parties to help the poor and so forth. Using the Quranic principle of co-operating with goodness and piety to others. If people do not vote and a far right party enters the arena then they have no one to blame except themselves. Then they would cry freedom of expression by using laws of the lands of the west. Yet, they would argue against them now!! They are far from being consistent and need to wake up their own misunderstanding. It would be sinful to vote for someone who oppresses people. Maybe looking into the biographies of the candidates might be an idea. Vote if you wish to but it is not kufr or shirk. If you do not want to vote then that is your choice but it is not kufr or shirk. Labels: Articles 2017, Can Muslims vote?